Road to IELTS is the official online British Council preparation course. 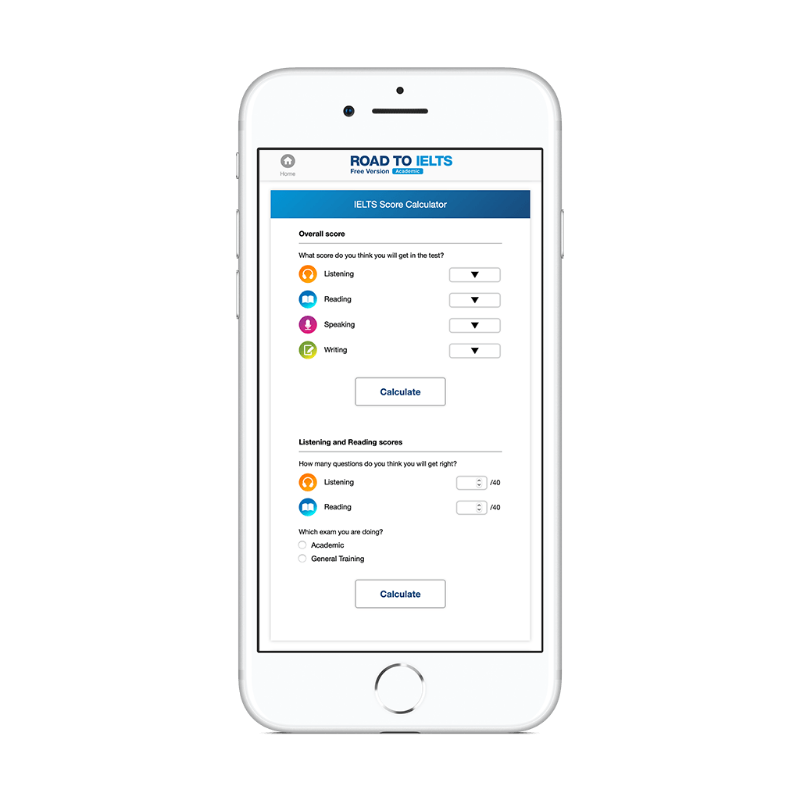 It includes a total of 36 individual practice tests with answer keys, and videos of 5 candidates taking the Speaking test — all provided by British Council. You are subscribing to a 100% online course, so you can study at any time, anywhere and at your own pace. Access everything you need in one convenient place. What should you do if you feel nervous in the Speaking test? How much time should you spend on Writing Task 1? Road to IELTS has the answer to these questions... and so many more. There'll be no surprises on your IELTS test day! 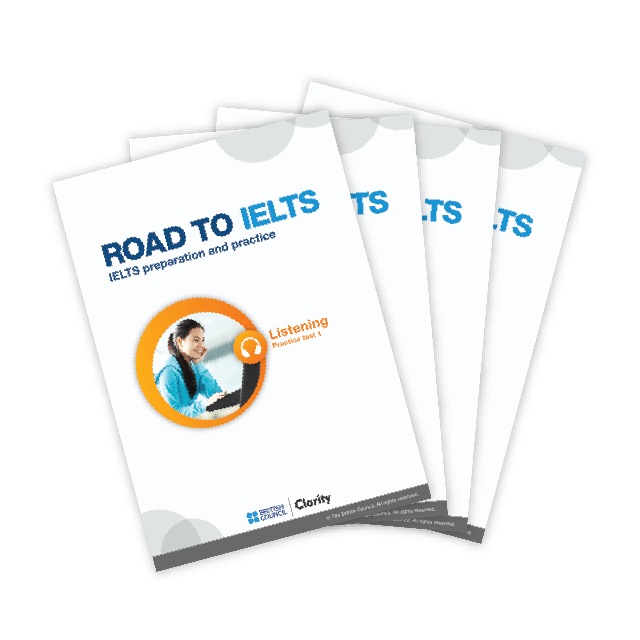 Preparing for IELTS? Get started with this special Road to IELTS Last Minute version. 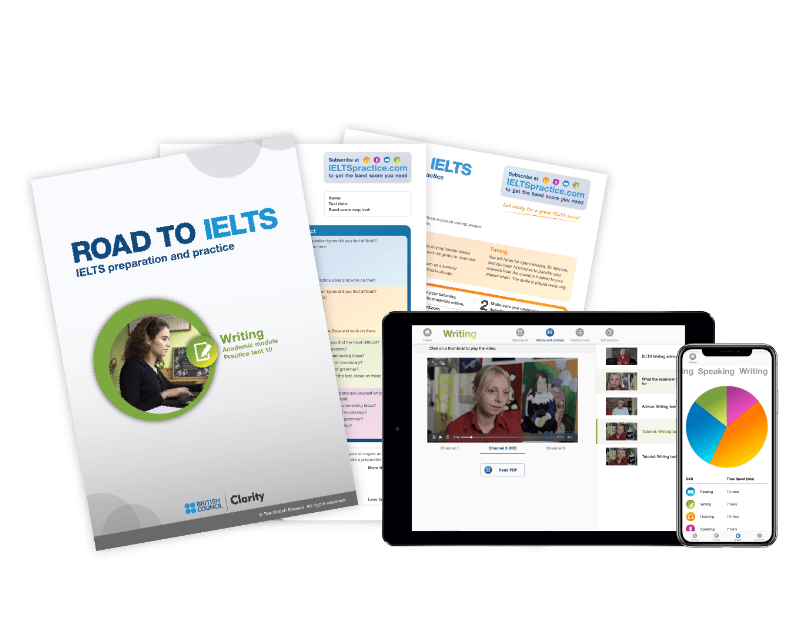 It includes nine videos giving advice and tutorials, 100 interactive activities and two practice tests for each of the four skills — and it’s FREE when you register for IELTS with the British Council! Why choose Road to IELTS? A great place to start your preparation, the four eBooks for Reading, Writing, Speaking and Listening show you all the different question types. They also tell you exactly what the examiner is looking for. 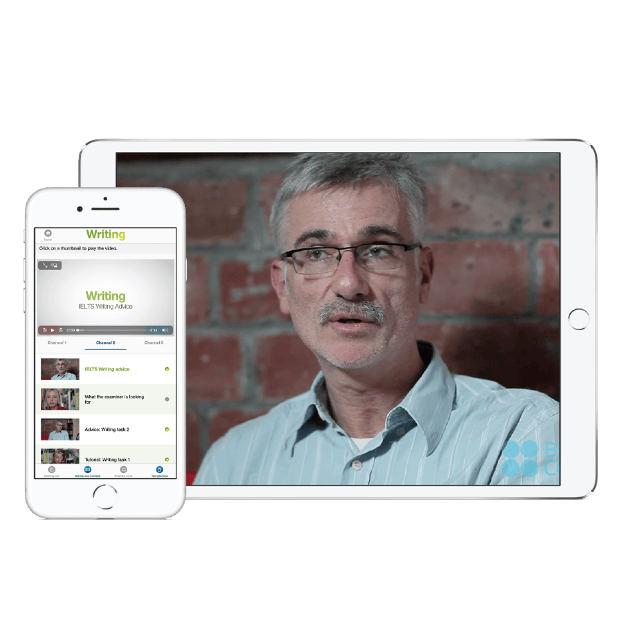 These 17 videos by British Council IELTS experts are packed with tips and tricks for your preparation, and for the test day itself. 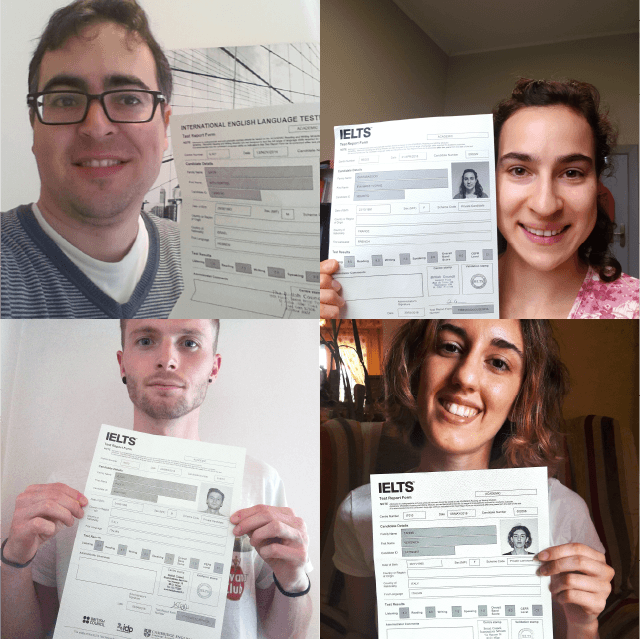 Don't miss out on these secrets to IELTS success! 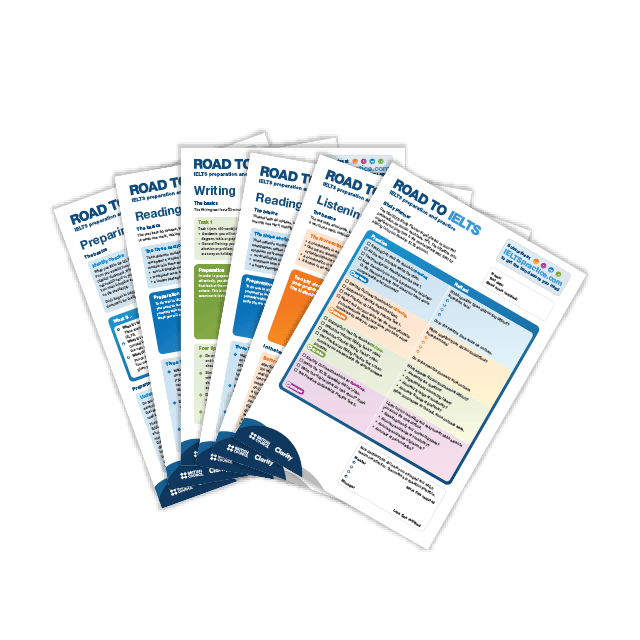 Give yourself the best chance of achieving the band score you need by practising question and task types in the Practice Zone. 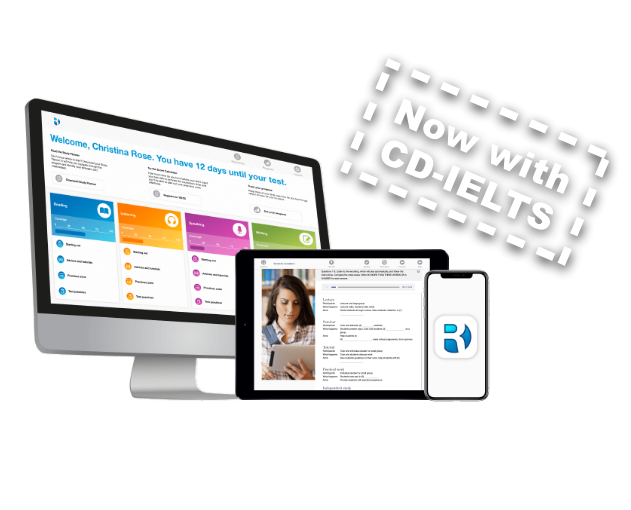 It has over 300 interactive activities modelled on real IELTS test papers — with instant marking and feedback! 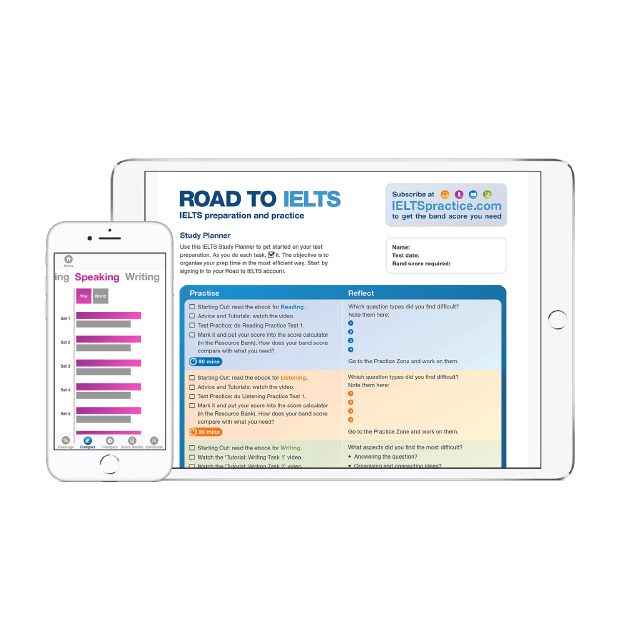 A study of 130,711 candidates using Road to IELTS showed that on average those who used it the most performed 52% better on IELTS tasks. 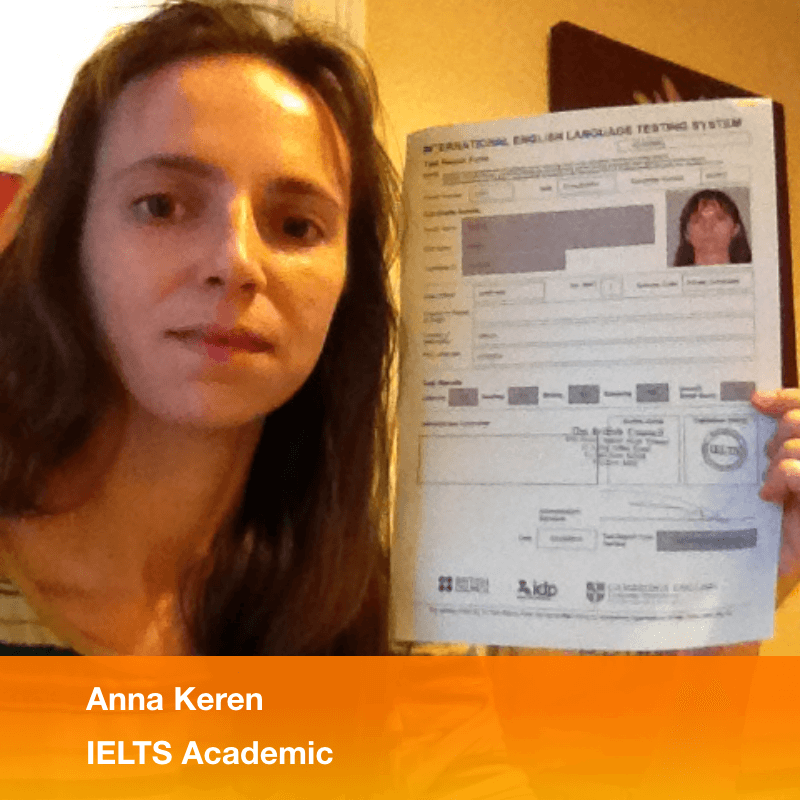 What's your IELTS score right now? Click below to find out.